The hot weather has made the bees in this nuc beard out on to the front of the hive. Entrance reducers should be removed now from the entrance of colonies because of the heat. The bees will be able to more effectively cool the hive with the reducers out.The warm weather may get swarming going in strong colonies. 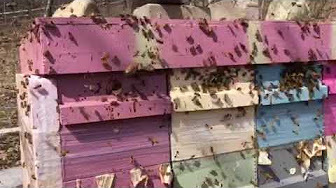 Beekeepers should still be doing doing swarm prevention in their management practices. 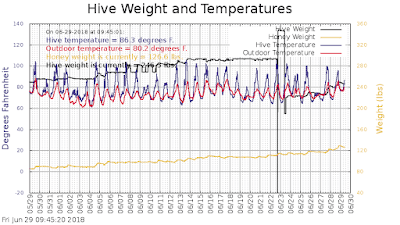 Seeing bees bearding or covering the front of the hive during hot weather is normal behavior. 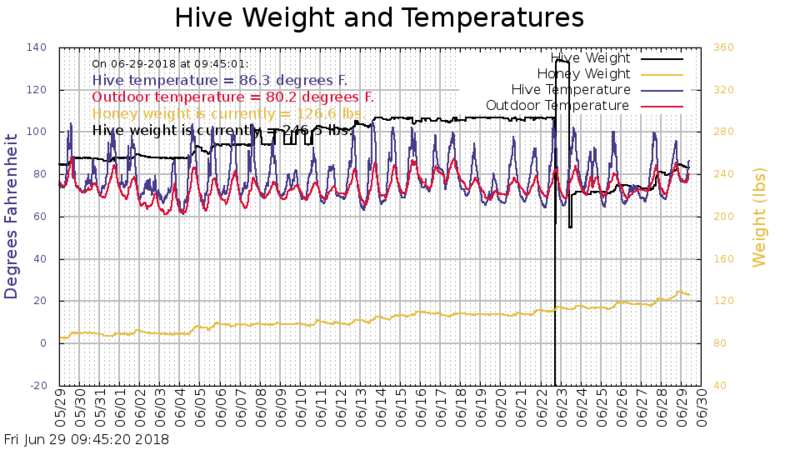 The bees may even be outside overnight when it is weather like we are experiencing right now. 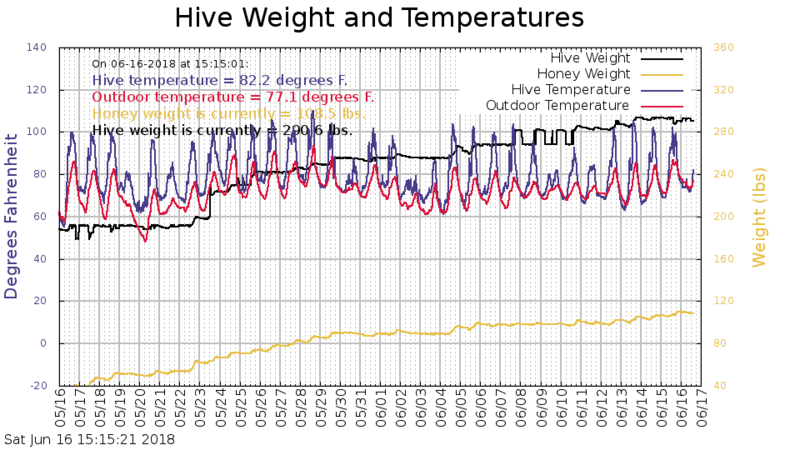 By Monday it will be cooler and the bees will be back inside the hive again. Ultra Bee Pollen Patties are on closeout. 5 patties for $10.00. That is 50% off the normal price. Online sales only. Limited quantity. I have heard of three cases of American Foulbrood (AFB) today. 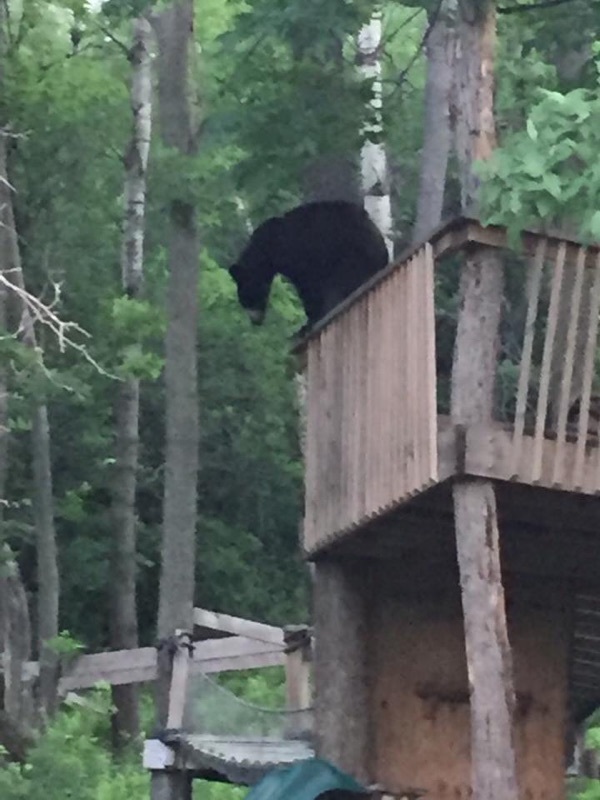 Two cases in Minneapolis and one in Lake Elmo. The incident in Lake Elmo was a hive with all equipment purchased new. The beekeeper was an experienced beekeeper and the bees more than likely robbed out an infected colony. The Mpls AFB, I believe was on used equipment. Purchasing used equipment while sometimes you can save money, there is the pitfall of equipment with AFB scale. Early on in my beekeeping career I purchased used equipment. 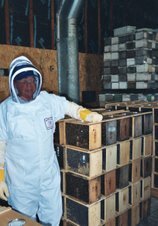 The beekeeper said hive equipment was good and he never had any problems with disease. Well, his equipment was full of AFB scale and I quickly had a major AFB problem in my beekeeping outfit. I will say that experience is the best teacher. My experience in this AFB fiasco did educate me about buying used equipment and I quickly learned of what AFB scale looks like in the frame. Since that incident, I have discovered many AFB infected frames that beekeepers have brought to me to check out. AFB infected larvae will start to discolor, turning a yellowish color, then will darken to a milk chocolate color. The larvae will turn gelatinous and sink to the bottom of the cell it is in. You will see the larvae laying flat on the bottom of the cell. The tongue of the bee may be sticking up in the cell. As the larvae desiccates (dries out) the larvae forms a hard scale on the bottom of the cell. This scale is highly infectious and contains over 2 billion of infectious AFB spores. That is just one cell. Imagine a frame of a couple hundred cells of AFB scale. The cappings of the larvae cells will have a shrunken appearance and the cappings may be perforated will small holes. Beekeepers always think they will smell the foulbrood. The odor only gets pronounced when there is a large infection in the colony. As more larvae die, the colony will get weaker. While the colony still will try to carry out its normal function of foraging for honey and pollen. As the colony weakens it is more susceptible to being overcome and robbed of its honey stores. 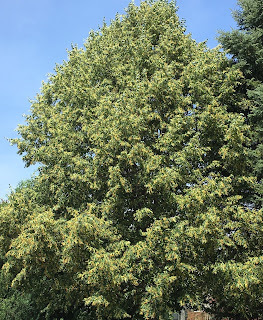 Normally, colonies will get robbed out in the spring or late summer, when there is not a nectar flow. 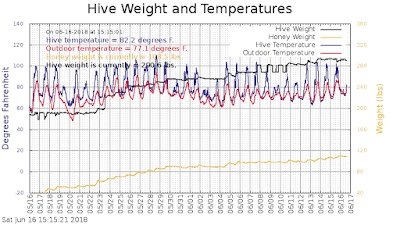 Some honey in the AFB hive may have been stored in cells with AFB scale. Now the infected honey is brought back to a healthy colony. The healthy colony now has a good chance of getting AFB. The trick with AFB, is knowing that you have it before it gets out of hand. Looking at your larvae and making sure it is pearly white. If the larvae is any color other than pearly white, you have a brood issue. There could be many reasons for discolored brood, chilled brood in the early Spring, AFB, European Foulbrood (EFB), Parasitic Mite Syndrome (PMS), The Crud, these are the most common. The only thing that makes AFB different, is that when the larvae is in the milk chocolate color stage, the larvae will rope out with a toothpick or small stick. To do this, a small stick, toothpick , or matchstick is punctured into the milk chocolate colored diseased larvae. The wooden instrument is slowly drawn away from the larvae. The goo attached to the wood will start to string out. If it is AFB, the string of goo will be an inch or more before it detaches from the stick. If it does not rope an inch or more, it is not AFB. The treatment for AFB is shaking all the bees on new foundation. Feeding the bees syrup for them to draw out the comb will flush out the AFB spores out of their bodies. When the bees start feeding the new brood in the hive on the new foundation, the AFB spores should be gone. A treatment also with Terramycin will get the bees off to a good start. Terramycin can only be purchased with a prescription from a Veterinarian. Getting rid of the infected frames is imperative. That is where the problem lies. Infected comb. AFB spores are long lasting. They have an active infectious life of well over 50 years. The Univ of MN took some AFB spores from some frames they had that I think were over seventy years old. They purposely infected some colonies trying to see if the AFB was still infectious. All of the colonies came down with AFB. The infected old frames have to be burned. The boxes can be reused but the inside of the boxes should be blackened with a torch. The only thing that kills AFB spores is a direct flame over 1000 degrees or irradiating the scale with radiation at an irradiation facility. I think there is an irradiation facility in the Chicago, IL. area. I checked all my hives today. 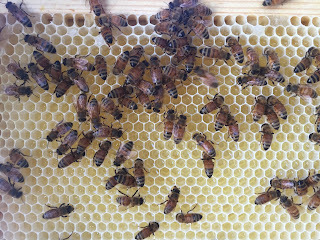 My package bees that I put in on my May 7th delivery, 6 were on drawn comb and needed a second box. They were very crowded and probably needed a box a week ago. I have three packages that I started on foundation. They are probably a week behind the hives with drawn comb. My overwintered colonies are packed with bees. I had no swarm cells. All of my overwintered colonies got two supers put on top of them. They did need them as they have been bringing in nectar. How do you know there is a nectar flow? My deep boxes have drawn comb and the comb is on the dark side. Notice the white comb attached to the darker burr comb. The dark burr comb has new white comb. Whenever the bees add comb to anywhere in the hive, it will be white in color during a nectar flow. So I knew at a glance that this hive was bringing in nectar recently. In my travels I am always looking for what is blooming. Driving down hwy 36 and 694, east of St Paul, I am seeing widespread yellow sweet clover and birdsfoot trefoil in bloom. 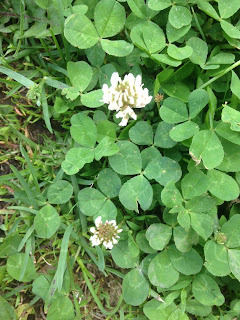 My yard is full of blooming white dutch clover. Red Clover is blooming in the ditches of a new roundabout north of 36. The conclusion is, that most of us are experiencing or will soon be experiencing a nectar flow. Supers should be on colonies now. If the deep hive boxes are finished or close to being finished drawing comb, supers should be on new colonies. Supers should always be put on a colony when the colonies are ready for them. 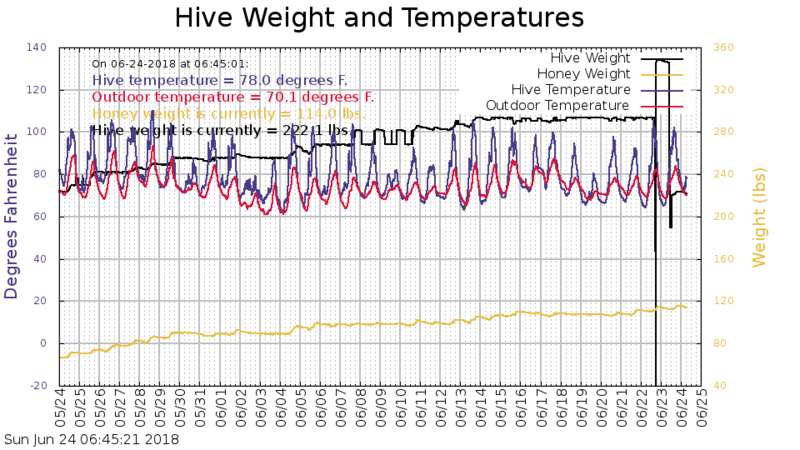 Failure to put on supers will possibly make the bees fill the whole hive with honey. This honey bound hive will leave no place for the queen to lay. With no place to lay eggs, the population will suffer and the hive may not survive the upcoming winter because of not enough bees. The nectar flow can start with a huge intensity. A medium super that is just foundation can be drawn out, filled with nectar and capped in one week. That is why we always put supers on two at a time. We are sold out of queens for 2018. If you are in need of a queen(s). The nectar flow will be starting soon. I have some final prep work to do in the next few days. My over wintered colonies: I will be going through the hives looking for swarm cells and removing any uncapped swarm cells. If the top box is not real heavy with honey, I will do a reversal. If the top box is quite heavy, I will leave it on top and not do a reversal. My honey supers are on. My package bee colonies: I have a few package bee colonies from my April delivery of bees. All my deep boxes have drawn comb and I am not drawing out foundation. The bees have built up very well and there is several frames of capped brood ready to emerge. 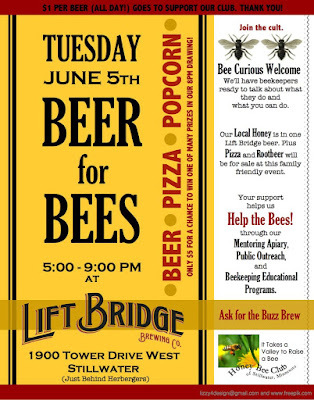 This will be perfect timing for the hive to have large amounts of house bees to deal with the new nectar coming in. If the top box is not heavy with honey, I will do a final reversal. If the top box is heavy with honey, I will leave it on top. Uncapped Swarm cells will be removed. I will be putting on my honey supers. I do have late packages from my May 7th delivery, so they are a little behind. They have just had their second box put on top. ProSweet is still on the hive and feeding will continue until all my foundation is drawn out. I am using Quick Draw foundation in the frames. Quick Draw foundation is yellow RiteCell foundation. 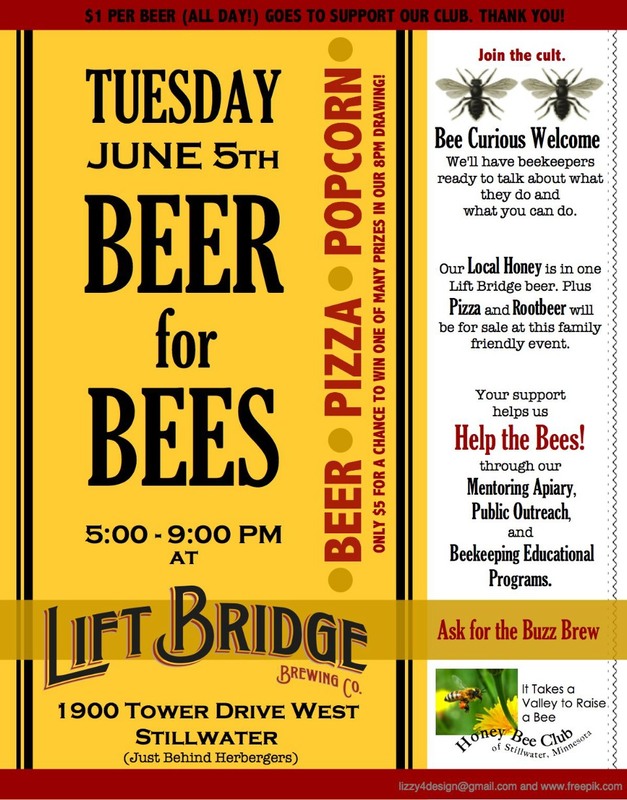 The foundation has three times the beeswax on the foundation than the Black RiteCell foundation. The bees draw this foundation out faster and better than the black foundation. Quick Draw foundation costs more because of the added beeswax, but I feel it gives me an edge for quicker frame comb building. In both of my beeyards I have a couple of undivided overwintered colonies. The overwintered colonies are getting huge so I need to cut them back a little bit to prevent them from swarming. I did not divide them because I knew I was going to remove brood from them. I will take a few frames of brood from these strong colonies and add a frame of capped brood to a few of my late packages. This should give them a little jump start to increase my late package population before the nectar flow. The nectar flow is coming soon. If you are drawing out new foundation, keep feeding. If you are done drawing out foundation or very close to finishing the comb, do a reversal. 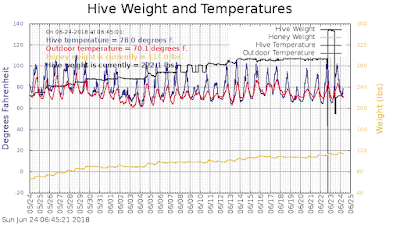 Do not do a reversal if your top deep box is heavy with honey. Put two honey supers on. If the supers are new foundation, leave the queen excluder off. Check the supers weekly. When you see comb being built and some nectar on a frame or two, then put your excluder underneath the supers. I have White Dutch Sweet Clover starting to bloom in my yard. 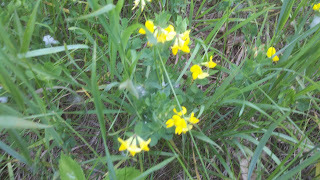 I saw Yellow Sweet Clover blooming on Hwy. 494. The old wives tale is that the main nectar flow starts ten days after the first clover bloom. That puts it around mid June for the Stillwater area. A little sooner in the Rochester area, a little later St Cloud and points north. I have about 60 queens left. I will not be getting anymore for 2018. Birds Foot Trefoil is blooming across the metro area. Birds Foot Trefoil is a legume. It is a short plant. Bees do like it. You can usually see it next to roadways. It does get planted on roadsides on both state and county roads.